About a year ago I was looking for my first bike and after reading the MCN reviews I went hunting for a Sinnis Apache. 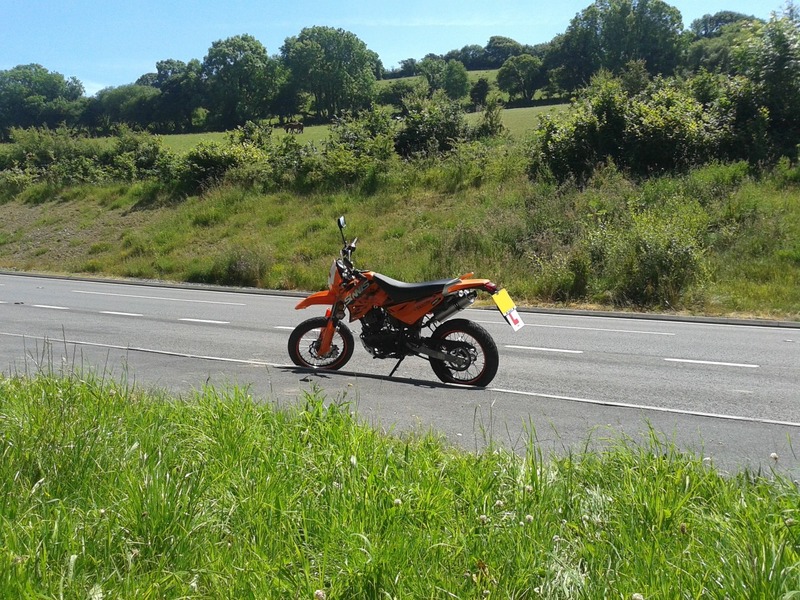 I found a dealer a few miles away and after a quick chat with the dealer and after seeing if it fitted I bought myself a shiny, new, orange Sinnis Apache 125cc. At first I was overly cautious because of the high seating position, something which should be noted before buying, but soon enough I was relaxed and confident with the bike. I found the Apache very easy to control, even for a novice rider like me and I was able to ride through towns, along country lanes and down dual carriageways knowing that the bike wouldn’t give me any nasty surprises unless I rode like a complete muppet. In the following months I had enough confidence in my riding and with the bike to start doing group rideouts of between 150 – 200 miles riding along the Welsh coast and through the Brecon Beacons (a good test for any bike). In all those miles the bike never let me down and to this day I have not had any problem. I may not have been able to keep up with the larger capacity bikes as the top speed is about 65mph, it will do 70mph but that depends on the weight and size of the rider and gradient of the road but I gave it my best and so did my Apache and we soon caught up at the petrol stations as the economy of the Apache allowed me to zoom past without needing a fill up. The bright orange certainly gets you noticed. Many a time whilst i’m stopped at traffic lights I get quizzed about the Apache, “What bike’s that?”, “How much did it cost?”, “Where do they sell them?”. It also helps get you seen by other road users which is an absolute godsend and a vital safety feature. Along the fork plastics my Apache has the words “Make Me Smile” and it certainly has done. It does everything I ask of it, it goes, it stops and it steers with ease and predictability that will inspire confidence in riders new and old. The best £1800 (approx) I ever spent. Well that’s a nice surprise! It’s made my day for sure.